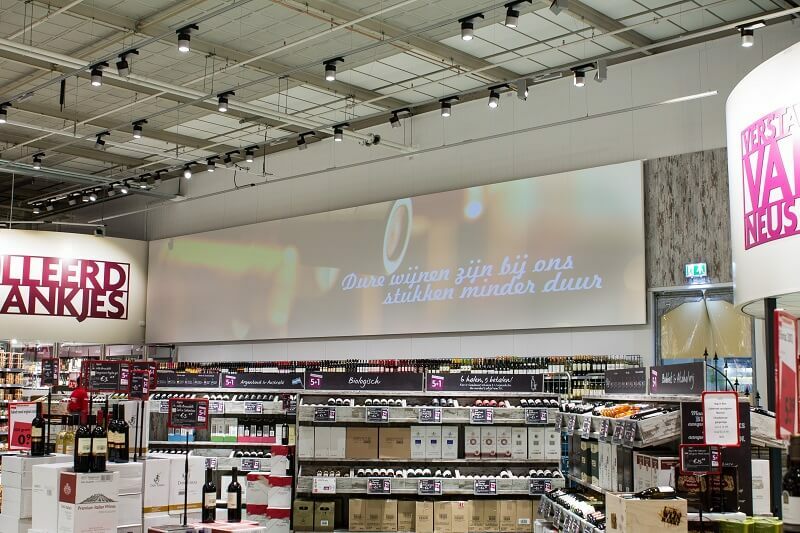 We produce our made-to-measure flexible screens, using our own brand of projection fabric: Macada Flexible. This front and rear projection fabric is easy to transport and therefore especially suitable for one-off projects during trade fairs and shows. Macada Innovision supplies various kinds of roller- and tensioned screens that are stretched in a frame. We cut the fabric to size, make the frames ourselves and assemble your order on the spot. If desired, we can supply the fabric with a black border, equipped with rings or press-studs. This high-quality product can be used in rooms with relatively high ambient light levels. Macada Flexible matt white/black backed front projection screens provide bright, tack-sharp images with excellent colour reproduction. Because of their wide viewing angle, these screens are suitable for large audiences. Macada Flexible grey rear projection screens provide crisp, bright images with excellent resolution and contrast, even in rooms that are fully illuminated. The millions of microscopically small diffusion lenses provide optimum illumination and even brightness over a wide viewing angle, without hot spots. Macada Flexible SilverScreen can also be supplied in a specially perforated version for acoustic applications.